How do you use SketchUp? 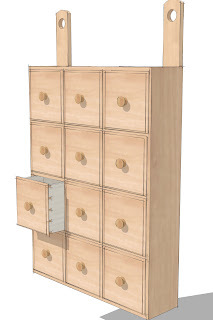 SketchUp is my “go to” application for woodworking. I draw all of my projects using SketchUp Pro. In fact, I really have no need for any other design application. I can work at higher precision than is needed in woodworking and I can draw everything I need with it. 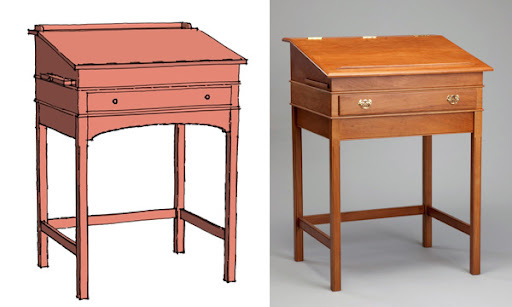 Typically, I draw plans for projects so that other woodworkers can build them. Some of these projects also involve some design work and collaboration with clients while other projects involve creating plans for existing pieces of furniture. 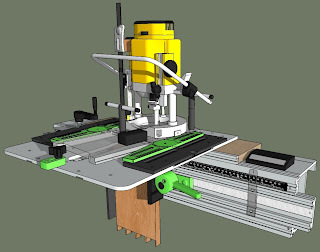 I’ve also found SketchUp useful for making detailed drawings of machines for exploded views and instructional manuals. Have you worked on any projects that folks might have heard about? Woodworkers who are familiar with Fine Woodworking Magazine might recognize a number of the projects I’ve worked on because they are almost always tied to articles that run in the magazine. 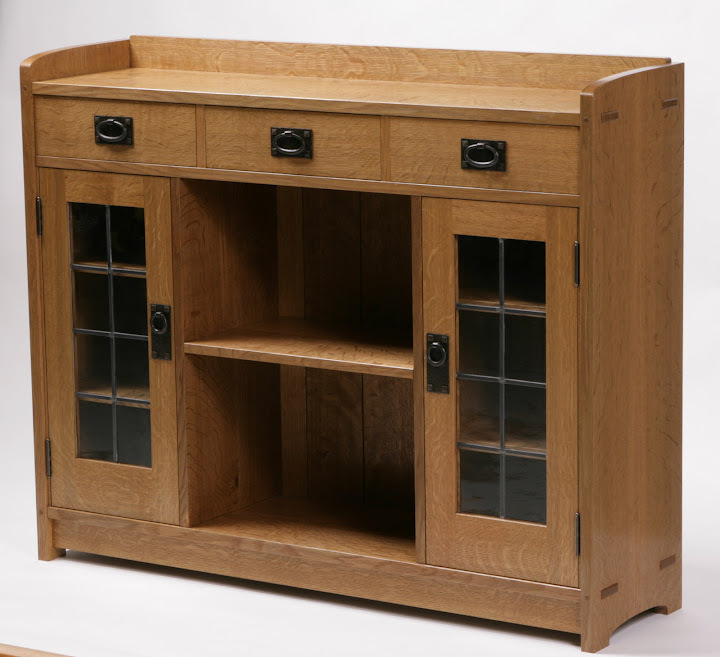 Examples of these are an Arts and Crafts Display Case designed by Michael Pekovich and several Shaker style pieces by Christian Becksvoort. I’m probably most proud of the Arts and Crafts Display Case drawings as well as drawings for a work bench designed by Garrett Hack. In both cases, my SketchUp drawings were used as renders accompanying the magazine articles as well as for complete plan documentation. What was your reaction the first time you used it? 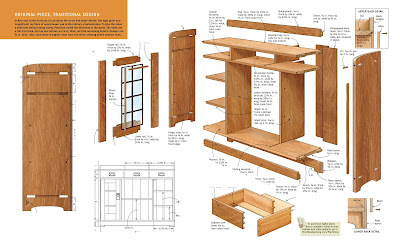 I first heard about SketchUp on a woodworking forum back in the days of @Last Software. Before I downloaded the trial version of SketchUp Pro, I spent a long time looking at the videos that were available on the @Last website. I read the old forum looking at what others were doing. Finally I decided to give it a try. I was very pleased that I could quickly create a 3D perspective view of a real object with accurate dimensions. It was much easier than the CAD programs I tried and I was hooked. It didn’t take the full eight-hour trial period to decide I would buy it. The biggest hurdle was convincing my wife that the $495 would be well-spent! I spent about that much for my tablesaw. 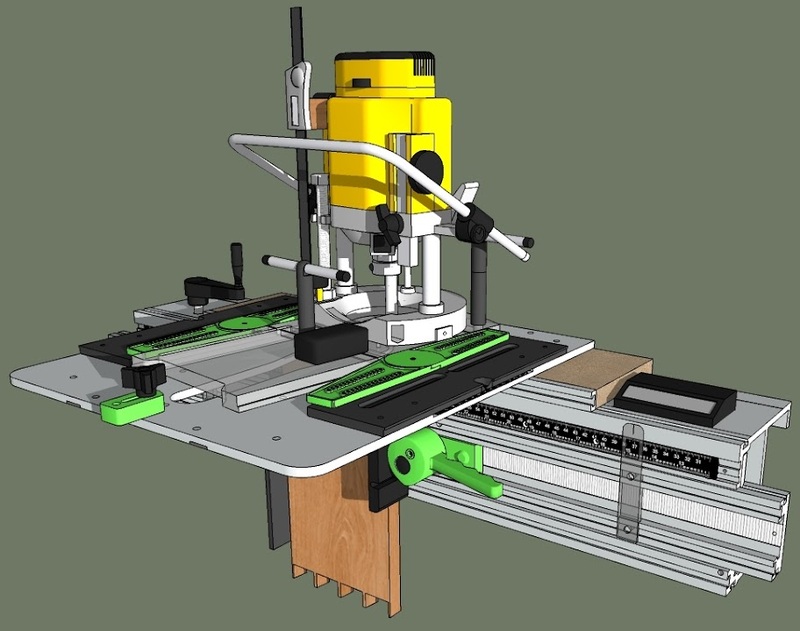 I realized that SketchUp Pro would qualify as another big tool for my shop. At that time I had no idea I would be using it the way I do now. Do you use any other tools in cooperation with SketchUp? I use LayOut to create the plan documentation from the SketchUp model. This is a key part of the process for me. I also use Microsoft Excel and Word to deal with CSV files that are created for cut lists generated by the Cut List plugin. Some of the images I create need a little post processing and for that work I use PhotoShop and a freeware application called Paint.NET. I’ve also gotten a lot of use out of Style Builder to make my own sketchy line styles. It seems like Style Builder is an under-utilized tool but I find it is very simple to create and edit line styles with it. That old adage about a picture being worth a thousand words is definitely true and I frequently find times when it is easier to make a point or communicate an idea with a quick sketch done in SketchUp than to type out paragraphs of description. We'd like to thank Dave for taking the time to talk with us. You can see even more of his SketchUp work here. Dave is the "go-to" guy whenever I run into a problem relating to woodworking, he has helped me in the past with everything from fluted columns to lathe turning models. His expertise is unmatched as a fellow woodworker. This is a great interview. I have always found Dave to be helpful and he has a keen insight into how to teach others how use Sketchup. When do you sleep ?!?! ?